It was a particularly moving day for me. You see, I was scheduled to speak at PPGGNY’s conference last year. Unfortunately, because of my health, I had to cancel. It marked the first time I ever canceled a professional appearance. Meryl Cosentino, the Vice President of PPGGNY and Senior Director of Planned Giving at Stony Brook University, was very understanding and kind. She stayed in contact with me during my recovery and, when she learned of my return to professional life, she invited me to speak at this year’s Planned Giving Day. I thank Meryl and her colleagues for the invitation to present. 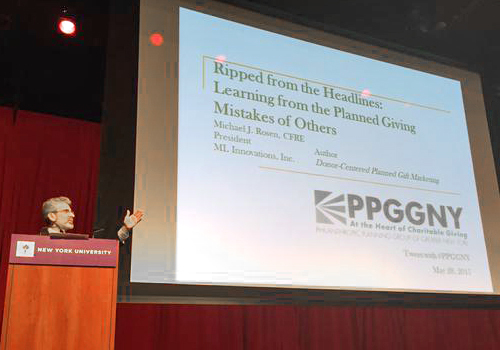 So, PPGGNY Planned Giving Day marked my first speaking cancelation and, now, my return to the speaking circuit! I’ve come full circle! 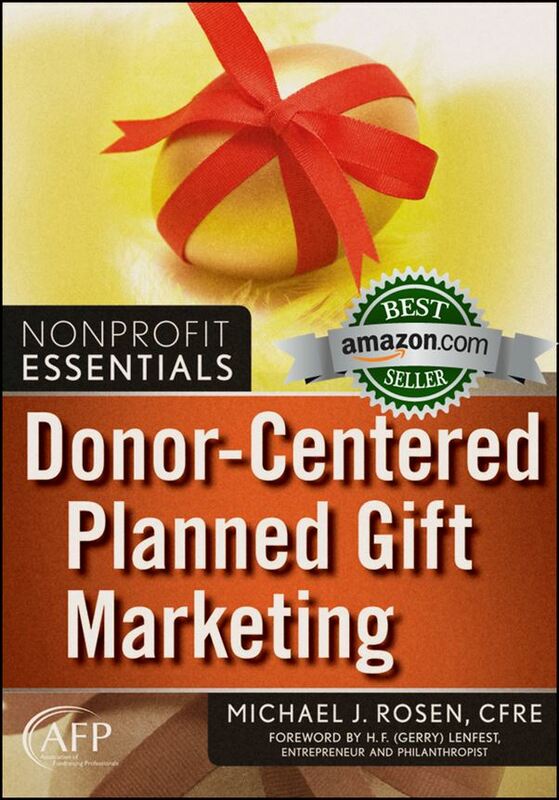 To help me celebrate the happy occasion, The Stelter Company generously sponsored 20 copies of my book, Donor-Centered Planned Gift Marketing, so we could give them away to random winners during my presentation. I thank Stelter for its thoughtful support. I also thank Stelter for contributing valuable material to my book. The company’s commitment to the nonprofit sector is remarkable, though not the least bit surprising. Michael Rosen at PPGGNY Planned Giving Day. Several months before my surgery, I visited southern Utah with a good friend. We went hiking in Escalante National Monument, a spectacular wilderness. On the more treacherous trails, I was particularly cautious. I carefully placed my feet with each step. I looked at where I was going to step next so I could pick the best spot. Because I exercised great caution, I didn’t stumble once. Coming off one challenging trail, I found myself on a wonderfully flat, gravel path. I gave a sigh of relief. I was pleased to be able to spend more time looking at the lovely scenery rather than the trail and my feet. However, as soon as I had that thought, I stepped into a small gully, a tiny wash. And I went falling straight over. After grabbing my camera to make sure it was undamaged, I checked myself. With the exception of a skinned knee and bruised ego, I was fine. From that experience, I learned a profound lesson. None of us wants to miss the future. Among very wealthy, very generous philanthropists, much of their giving does not go directly to existing charitable organizations. While their philanthropy will eventually find its way to charitable purposes, it will first be funneled through special funds or foundations that the mega-donors create or contribute to. Many of those who earned their fortunes through entrepreneurialism will gravitate toward entrepreneurial philanthropy. This is particularly true with younger technology entrepreneurs. With a do-it-yourself attitude, these individuals may choose to create a charity or socially-responsible business rather than donate to an existing, mainstream nonprofit organization. In any case, big donors are interested in funding big ideas. They’re interested in big solutions to big problems. To attract the support of mega-donors, your charity will need to focus on creative solutions for large challenges. Many charitable organizations embrace the idea that planned giving equals endowment building. For example, many charities have adopted policies that direct bequest revenue into the organization’s endowment fund unless otherwise designated by donors. While your organization might have a bias in favor of building endowment revenue, donors have a keen interest in their own legacy. Donors want to make a lasting difference. So, they will likely be more interested in funding your programs and initiatives that help establish their legacy than they will in simply having their money deposited into your organization’s investment pool. Just as we see that current donors have a growing interest in gift designations rather than unrestricted giving, we see a similar interest among planned giving donors who want to ensure their legacies. 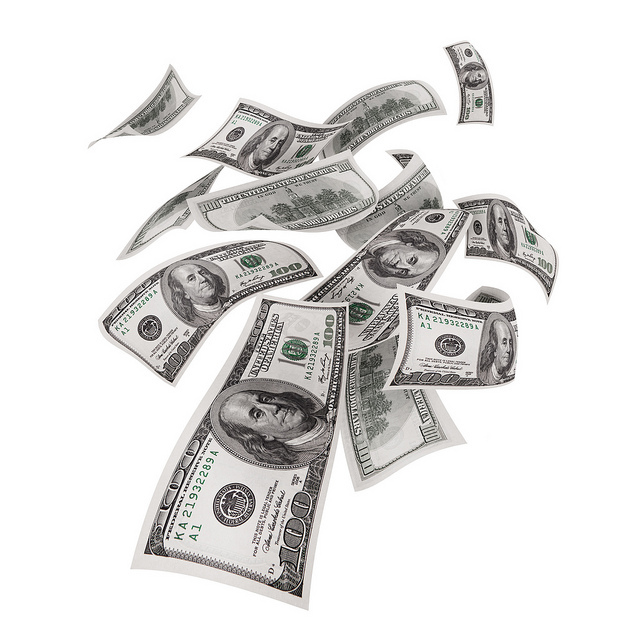 Some donors want to be assured of having a long-term, definable impact while other might be content with having their name, or the name of a loved one, on an endowment fund. The key is to understand what motivates the individual. Donors communicate with your organization in a variety of ways thanks to new technologies. They also communicate with each other like never before. I’m Sorry, but Mother Theresa was Wrong! Recently, I once again came across this phrase. I shuddered. Nevertheless, I realized that this person was not alone in his thinking. So, with this blog post, I know I’m going out on a limb. However, I must emphatically state that, on this point, the nonprofit professional I mentioned was wrong. Rev. Swaggert was wrong. Mother Theresa was wrong. Unless you’re dealing with a population of masochists, asking people to give until it hurts is not a sound strategy. Most people tend to run from things that cause pain and toward things that give them pleasure. I believe we should inspire people to give until it feels good. Kaiser is the Chairman of the DeVos Institute of Arts Management at the University of Maryland. He is also President Emeritus of the John F. Kennedy Center for the Performing Arts. When Kaiser speaks, people listen. And rightfully so. 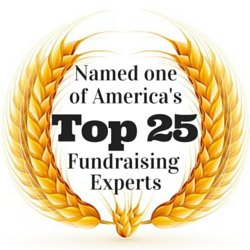 He’s a masterful nonprofit leader and a gifted turn-around expert. Whether you work for an arts organization or not, you owe it to yourself to listen to his remarks. You can find the video by clicking here. In other words, all nonprofit organizations, whether involving the arts or not, need to make giving a pleasure. We need to recognize that people will be more willing to donate if giving is enjoyable, and they’ll be more willing to continue their support as long as giving continues to be gratifying. 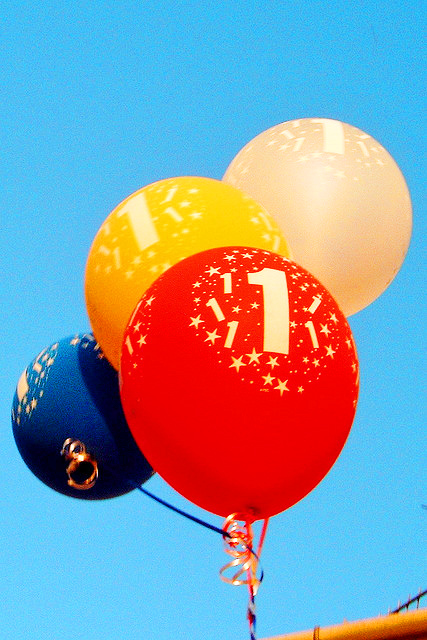 So, how can you more effectively inspire prospective donors by making giving fun? Good Company Ventures, the Wharton School at the University of Pennsylvania, and the Philadelphia Department of Commerce collaborated on a grant application for their Philadelphia Social Enterprise Partnership. With over 300 cities from 45 states competing, the Philadelphia collaborative knew it needed to do something to standout. The Philadelphia team prepared the required written proposal, which came in at 30 pages of dense content. Then, they contracted with David Gloss and his team at Here’s My Chance, a Philadelphia-based creative agency that works with nonprofit organizations. HMC was tasked with helping Philadelphia’s proposal submission standout from the crowd. Gloss went to work and produced an infographic that would accomplish two things: 1) Distinguish the Philadelphia proposal from the others. 2) Provide an easy to understand summary of the 30-page proposal. 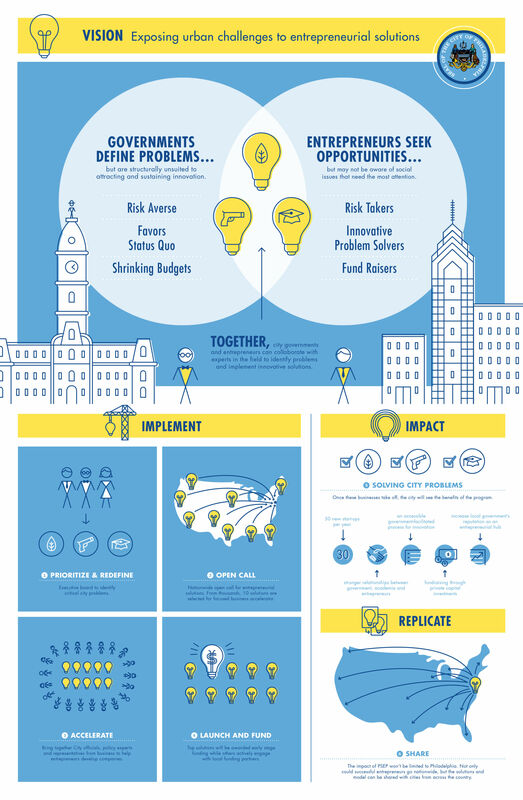 With an energetic, clean infographic branded in Philadelphia’s colors and a detailed written proposal, the Philadelphia team earned a spot as one of the Top 20 finalists. In the next round of the competition, finalists were asked to submit a short video describing their proposed program and the impact it would have. At the end of the long competition, Bloomberg Philanthropies named Philadelphia as one of the five winners, awarding the city $1 million! By the way, Philadelphia was the only winner to have submitted an animated, rather than live-action, video. Do Old Dogs Really Have What It Takes? 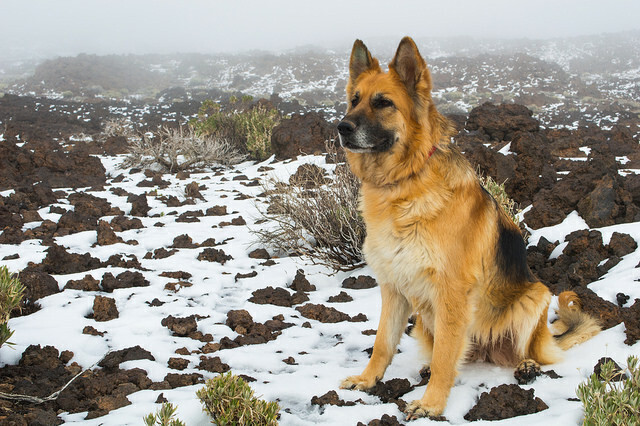 An old German Shepherd starts chasing rabbits and before long, discovers that he’s lost. Wandering about, he notices a panther heading rapidly in his direction with the intention of having lunch. Meanwhile, a squirrel who had been watching the whole scene from a nearby tree figures he can put this knowledge to good use and trade it for protection from the panther. So, off he goes.